Scott Young, DDS Contents Mason R.
Mason had a relapse in his orthodontic work, leading to crooked teeth and an anterior open bite. In addition, the patient regularly consumes soda and sports drinks which lead to erosion of tooth enamel and decay between the teeth. Mason received sedation dentistry to make his procedure more comfortable. 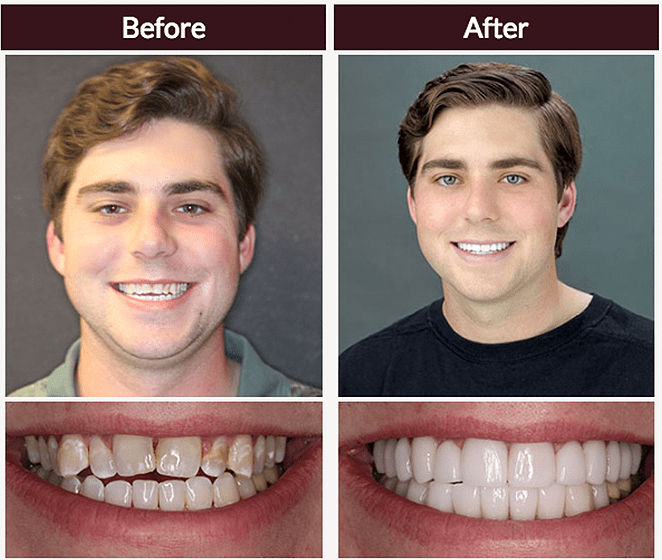 Twelve upper and 9 lower porcelain restorations helped close his bite and give him straighter teeth. The restorations treated decay, giving him a brighter, healthier smile.